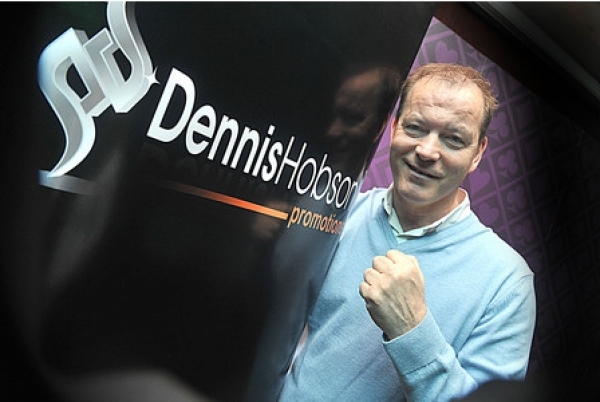 Dennis Hobson says Liam Cameron would KO British Middleweight Champion Tommy Langford within eight rounds should they ever meet, after Cameron’s win over Nick Jenman at the Ice Sheffield Arena on April 27. Commonwealth Middleweight Champion Cameron progressed to 21-5 (9) and made short work of Jenman, stopping the Brighton fighter at the very end of the second round in the first defence of his crown. The opening round was evenly-paced, with ‘Cannonball’ Cameron gauging what his opponent had before, as the second session drew to a close, unleashing a huge right hand that felled Jenman, 20-11-1 (3), heavily. Bravely, the challenger rose to his feet, but referee Terry O’Connor waved it over as the bell sounded. Cementing his place as one of the UK’s top middleweights, Cameron is now eyeing a chance to win the Lonsdale Belt, with promoter Hobson also talking about launching the Sheffield fighter onto the world scene. Trainer Chris Smedley said: “The first round Liam had a look at him to see what he brought, the second round he stepped it up and finished him with one of the best right hands you’ll see. I think whoever that had landed on, it would have knocked them out. Liam was much fresher this time, and he made the weight better, and his diet has made a massive difference. Liam is probably one of the biggest middleweights out there, just look at the size of him, he looked like a light-heavyweight in there, and he’s always had power but he believes in it now. Also on the bill, Sheffield’s Tommy Frank, 7-0, became the new Central Area Super Flyweight Champion after wresting the belt from Doncaster’s Craig Derbyshire, 5-26-3 (1). The former champion was aggressive and took the fight to Frank, but the local man showed his noted boxing skills to earn a 97-93 points win from referee Steve Gray.